Looking to engage your team to give back? 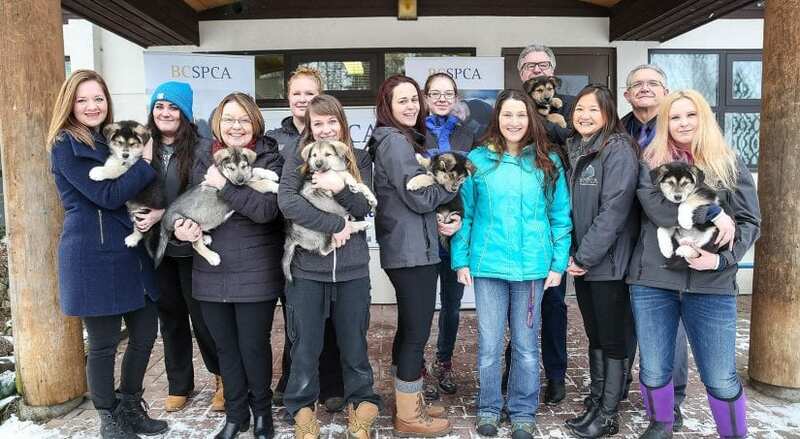 At the BC SPCA we consider our corporate partners to be a valued member of our volunteer team! We offer ongoing volunteer programs, projects and or one-time events, specifically tailored to the needs and interests of corporations and groups. We coordinate, and execute all aspects of your project while working with your staff to ensure seamless communication and execution. This collaboration ensures that each opportunity meets the needs, culture and values of those who are involved. The first step is to find the right opportunity for your team. We encourage you to take the time to review each opportunity to determine if your teams, time, talent, energy and skills match the suitability of the volunteer opportunity. Once you find an opportunity that interest your team, complete the application. This application will showcase your corporation’s goals and attributes allowing us to provide you with the most meaningful volunteer experience. We encourage you to complete the application as a team, as this is the first step in creating your volunteer engagement opportunities. Once we have had an opportunity to review your application, you will be contacted by a member of our team, who will personally review our volunteer opportunities, assisting you in selecting the right placement for your team. If you need any assistance, or have any questions please contact Michelle Rodgers, Manager of Volunteer Resources mrodgers@spca.bc.ca.